Right now I am so excited because I am writting from South Korea, it's been 3 weeks since I arrived here to study in a Korean University for one semester. 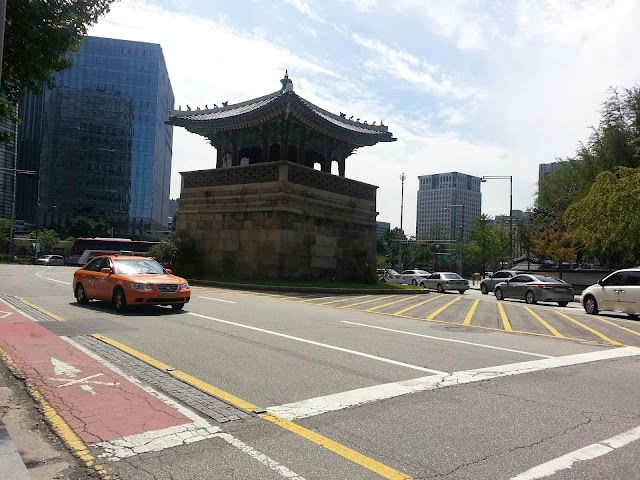 I really missed this country... when I went to Insadong and later on after seeing the Jongno tower I almost cry... it brought all the memories back. What I've been doing since I arrive? A lot of things... As you know I am a Kpoper so actually I am starting to think of myself as an stalker hahaha.. but you know I am taking 7 courses at the University but I will do my best to show you all the Hallyu things I can find in Korea. Weather in Korea was really hot when I arrived (middle August) but now is getting colder (18°C) in a week I think Fall season is gonna start, I'm so happy about that. Several things had surprise me a lot about the Korean culture and I am actually trying to accept it.. you know... Korea is not as it appears in dramas.